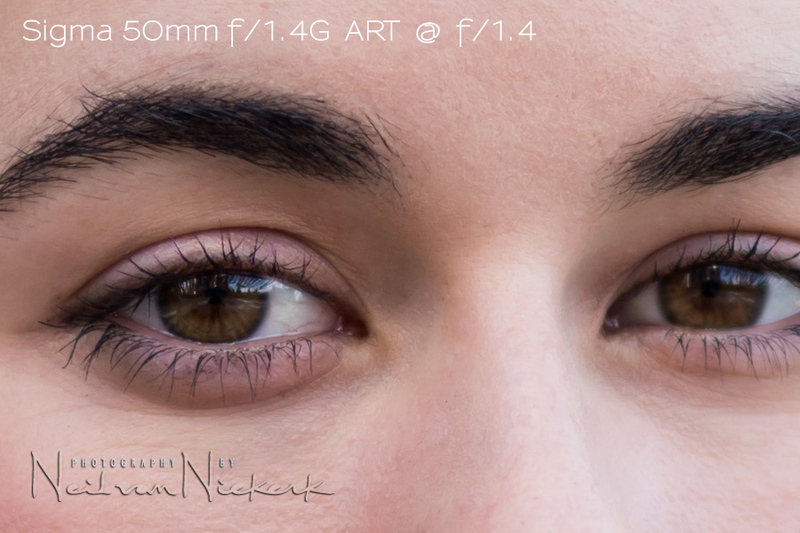 The moment you hold the Sigma 50mm f/1.4 ART lens (affiliate) in your hand, you know it is a serious lens. It is hefty. It feels like quality. It just feels like they took craftsman-like care in designing and manufacturing this lens! 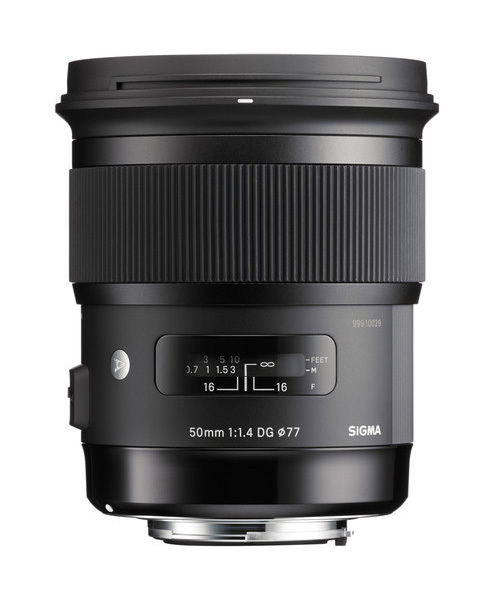 There’s been an incredible buzz around this lens – the Sigma 50mm f/1.4 ART lens. 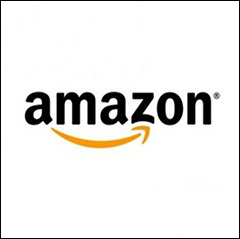 The initial reviews are unanimously impressed with this lens’ optical performance. Right up there with the very best. When the 50mm lens was first announced the rumored price was around $1,500 but with its official release, it came in at a relatively moderate $949.00 … but for that price, we’d expect a truly quality optic. The good news – it really is all that! I would heartily recommend this lens. To test the Sigma 50mm lens (Nikon version), I compared it against Nikon AF-S 50mm f/1.4G and the Nikon AF-S 58mm f/1.4G (affiliate). When I first tested the Nikon 58mm lens, I liked it. 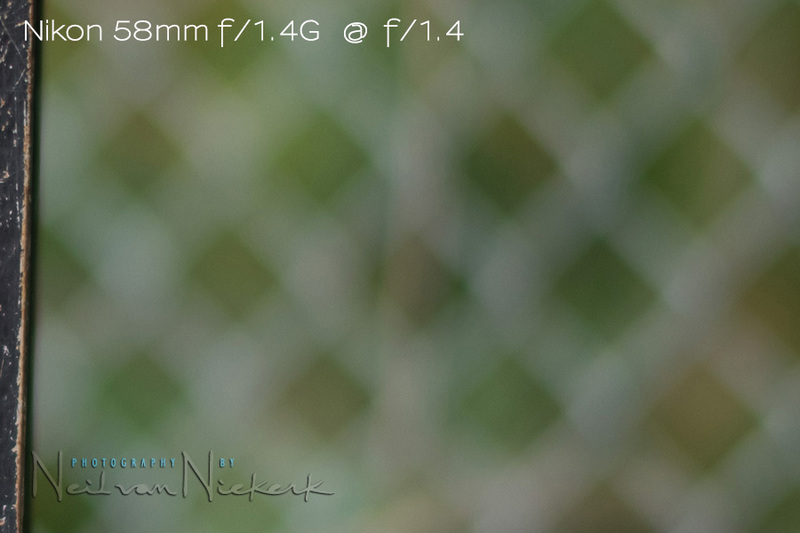 Here’s my review: Nikon 58mm f/1.4G lens. 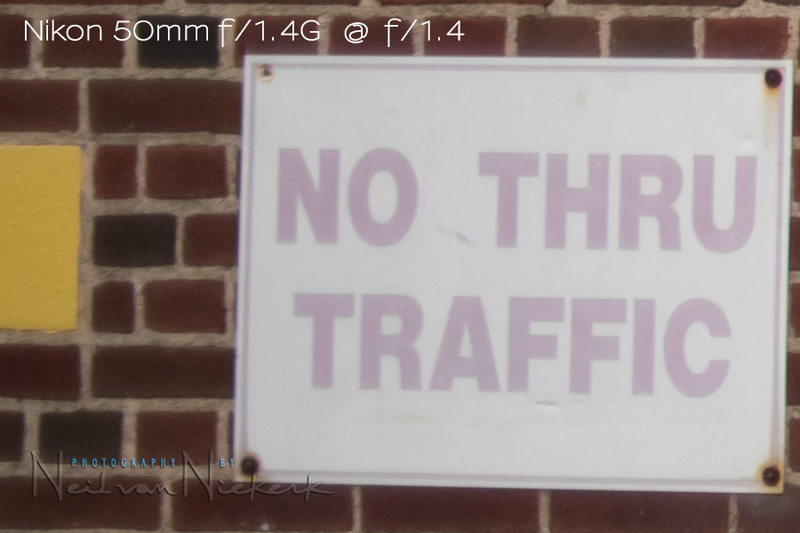 The image quality was a slight improvement over the Nikon 50mm lens. But it is an expensive lens at $1,700 so I thought it would be a good complement to this review, with the Sigma coming in half-way in price between the Nikon 50mm and 58mm lenses. While shooting images for the review of the Nikon D750 camera, and also shooting images for the article on full-frame vs crop-sensor comparison, I took numerous photos of Glass Olive , a New York model. 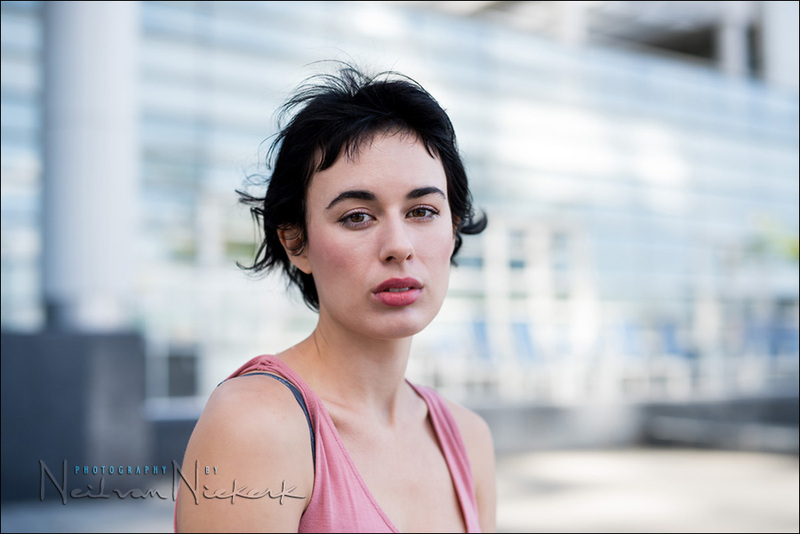 I also took photographs specifically to see how the Sigma 50mm f/1.4 ART fared at widest aperture … and I consistently came up against the Sigma completely out-performing the other two lenses. These 100% crops of images shot with the various lenses, with the camera on a tripod, are typical of the results. I found I could easily pick out the Sigma images while flipping through the numerous photos, simply by how sharp the images were when viewed at full resolution. 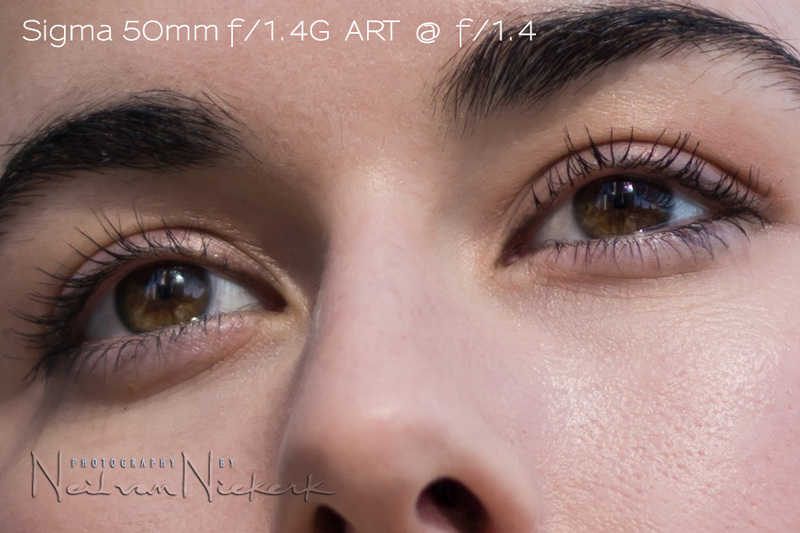 The Nikon AF-S 50mm f/1.4G and the Nikon AF-S 58mm f/1.4G (affiliate) had about equal sharpness, with the 58mm sometimes displaying this slight haziness. 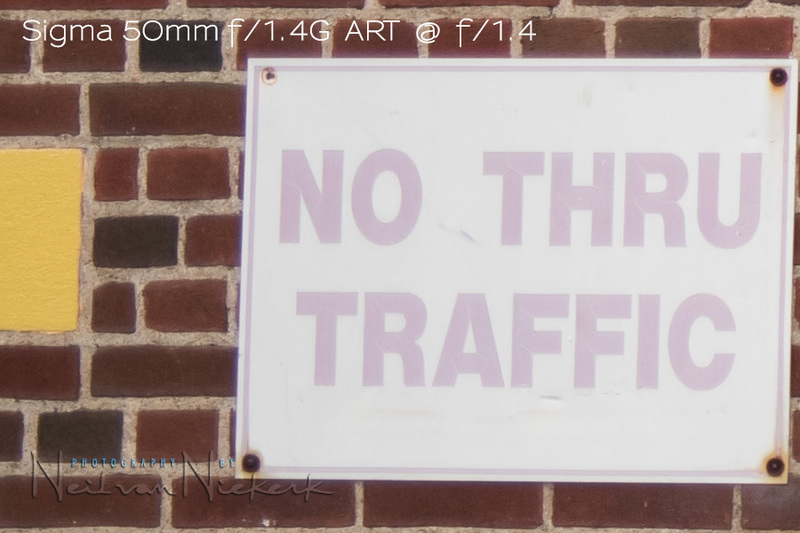 Neither were as sharp as the Sigma 50mm f/1.4 ART lens (affiliate) at the wider apertures. Noticeably so! The images above all showed superb central sharpness, but a lens also has to show excellent edge-to-edge sharpness to be impressive. For these, I had to resort to photographing walls. 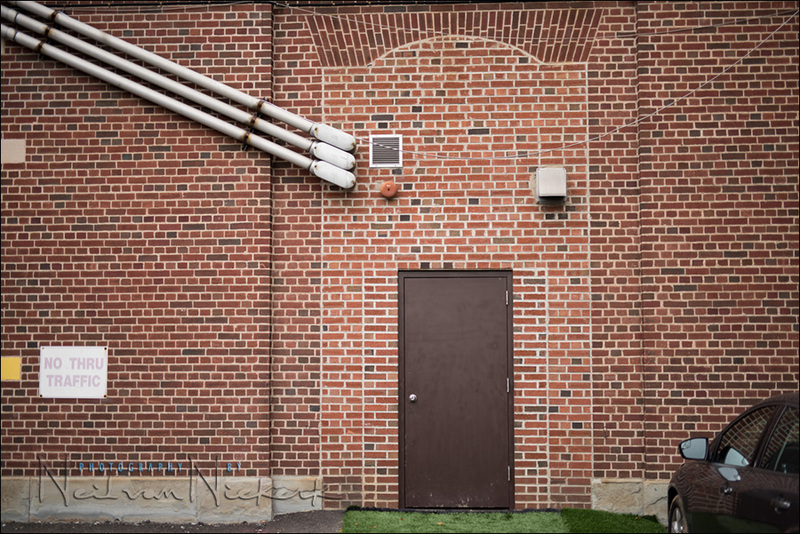 Really, as uninteresting a subject as a wall might be, it is about the best option when you want to shoot a flat subject to see edge-to-edge sharpness. Again, I shot numerous sequences at various wide and wide-ish apertures, with consistently results like this – the Sigma beat the other two lenses hands down! Bokeh is the description of the quality of the (background) blur. There’s no such thing as a lens “giving more bokeh”. Bokeh is usually described as harsh or smooth. Or other such descriptive qualities. Buttery or jittery. Something like that. Not “more bokeh”. 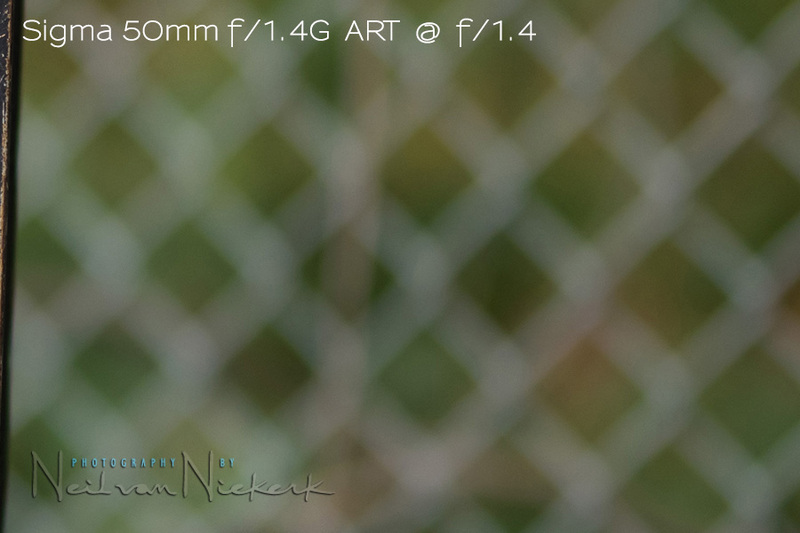 Also, shallow depth-of-field is not the same as good bokeh. 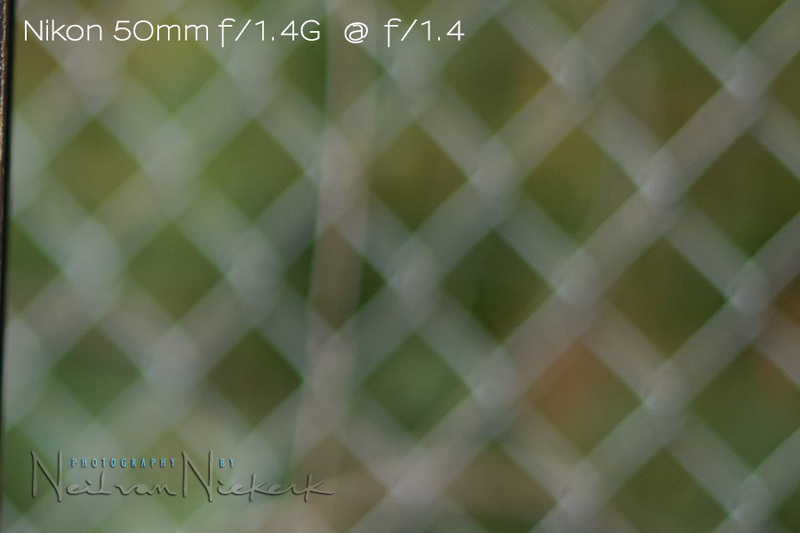 With that out of the way, I have to say the Sigma lens shows decent bokeh, but not as smooth as the Nikon 58mm. Better than the Nikon 50mm. Ultimately though, nothing that significant. I shot numerous sequences trying to show the difference, but there wasn’t much that really stood out. I wouldn’t make a decision on this lens purely on bokeh. The difference is marginal in real-world shooting. With all these positives for the lens – are there any negatives? With various images that I shot wide-open, it looked like the Sigma was consistently a third of a stop UNDER the other two lenses. By f/2.8 the exposures were identical to my eye. But wide-open, the Sigma images were a touch darker. This makes me think that it might be closer to an f/1.6 lens wide open. But for me, this isn’t of any real significance compared to the stellar optical performance otherwise. Let’s get back to the sharpness of this lens. It’s seriously good! The Sigma 50mm f/1.4 ART lens consistently nailed the focus, and was consistent in its impressive sharpness. I would unreservedly recommend it. I’ve read your review on the sigma 35mm f/1.4 Art, and I know you stuck with your Nikon 35mm f/1.4. 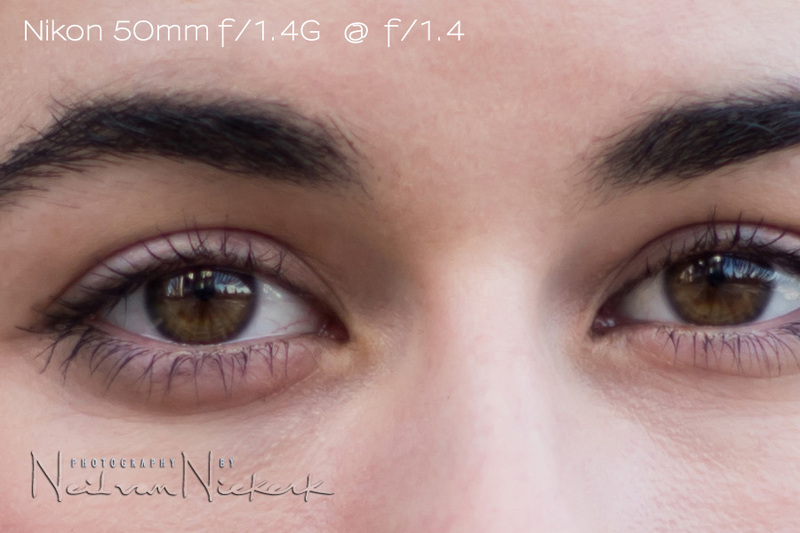 If this new lens is as good as they say it is, are you going to ditch your nikon 50mm f/1.4? 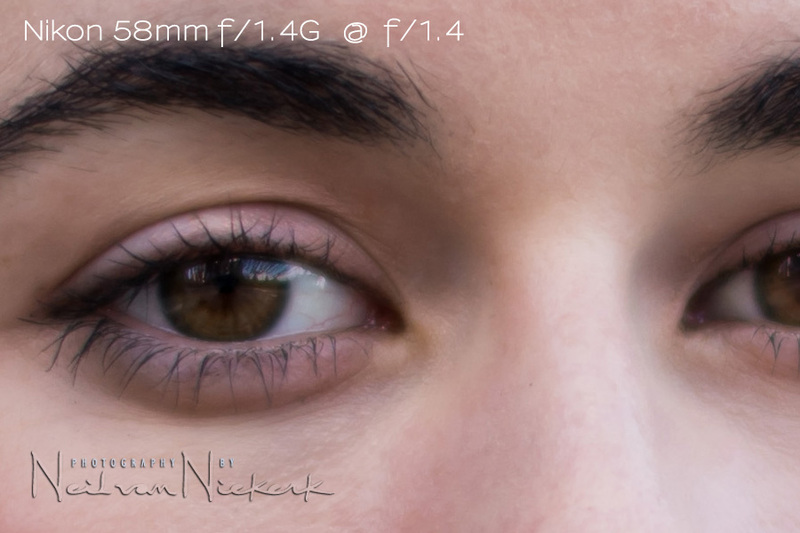 I’ve never been that happy with my Nikon (and Canon) 50mm f/1.4 lenses. So I have real hope this lens will be what it is said to be. So much hope that I instantly pre-ordered the lens when it was announced officially. We’ve all been promised it’s going to be very sharp but the deciding factor for me is that (see lenstip’s review in the “coma, astigmatism and bokeh” section), the light spread seems to be quite even across the circle, which also indicates that its overall rendering will be smooth enough. It doesn’t have the “onion ring” that affects 35 Art’s rendering. Actually, this 50 is the first “Art” series lens that I like. P.S. there are some full size JPG samples posted in sigma-rumors site (on Sony A7R, compared with the 55/1.8 FE). I’m really not that impressed with the sample images I’ve seen so far. I think a lot of people are just assuming it’s great because they call it an Art lens. I’ll stick with my Nikon 50 1.4g at half the price, size, and weight. It renders beautiful images and nails focus every time. 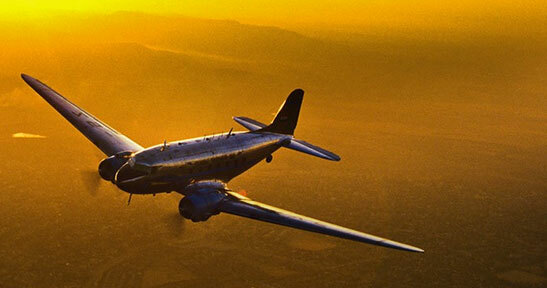 spectacular lens, unbelievable sharpness wide open! Beautiful shots (as always)! 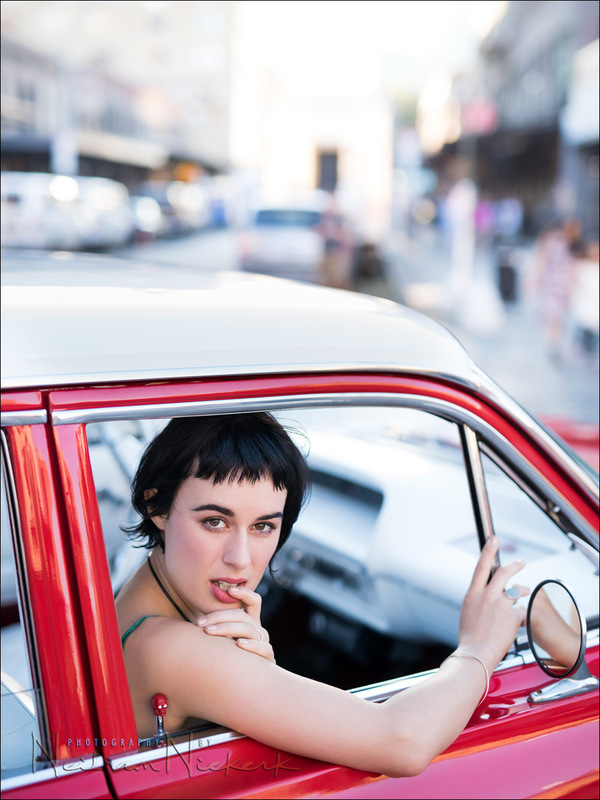 question for the pro: how do you get tack sharp focus on the eyes seemingly so easily? I have the 35 f/1.4 (sigma); 50 f/1.4 (nikon) and 85 f/1.4 (sigma) mounted on both a D800 and a D810; and end-up usually having to take at least a half a dozen shots of the same pose just to make sure that at least one of the sot has the focus locked on the eyes, and not on the hair/ear at the back, or on the tip of the nose. it does not matter how many times I micro-calibrate the lenses in my studio on charts; in the field, or in my studio (even when using a tripod), focus is very rarely sharp on the eyes. this has been my #1 frustration working with this wonderful trio. Can’t speak for Neil but there are several options. 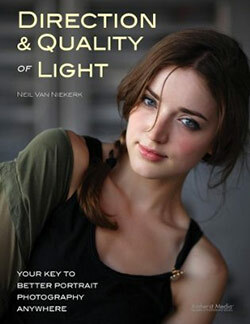 1) Make sure you have a nice light source. This allows the camera to focus more accurately. 2) Use Live View focus. While it is slower, the accuracy is beyond what the VF system can deliver. 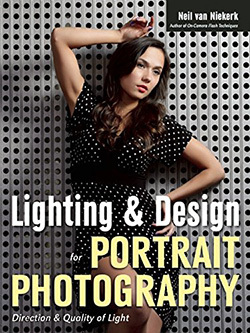 When I shoot wide open and/or need tack sharp photos, I use live view and zoom in on the face. My focusing technique with AF is fairly conservative. On the D4 / D810, I only use the central 3 rows of AF points, and only those closer to the center. This way I only use the cross-type AF sensors. I also avoid using the AF points towards the end of the screen. Then I also make sure that any focus-and-recompose is fairly conservative too. Neil, what do you mean by saying “Then I also make sure that any focus-and-recompose is fairly conservative too.”? In what cases focus-and-recompose can be not conservative? Also, it’s very interesting to know your opinion on fase-recognition AF (not in LiveView), that Nikon D810 and D750 have. Some claim that AF systems of these cameras have become so sophisticated that AF can reliably detect not only faces (and focus on them) but also can detect human eyes and focus on the closest eye to the camera, is it true? If it is so, then focus-and-recompose can be obsolete. That little skull on the unlock button is distracting. I’d love it if you could clone it out but if it was part of the original design of this model of car then all the car people would jump all over you for not accurately showing the car, and probably rightly so. Then again unless this photo were for a car magazine you could always say that’s the way you found it….. maybe a previous owner took it off. the Canon 50L will be about 2/3rd of a stop faster at the same f stop. I can’t recall at what value the exposure equalizes but at 1.4, the L lets in lots more light. Center sharpness is the same but the Sigma was sharper in the corners. Bokeh was smoother/creamier with the L. The Canon also has better build quality. The Canon 1.4 is not that great-soft wide open with so-so color and contrast. Toss in the plastic fantastic when you do your comparison. 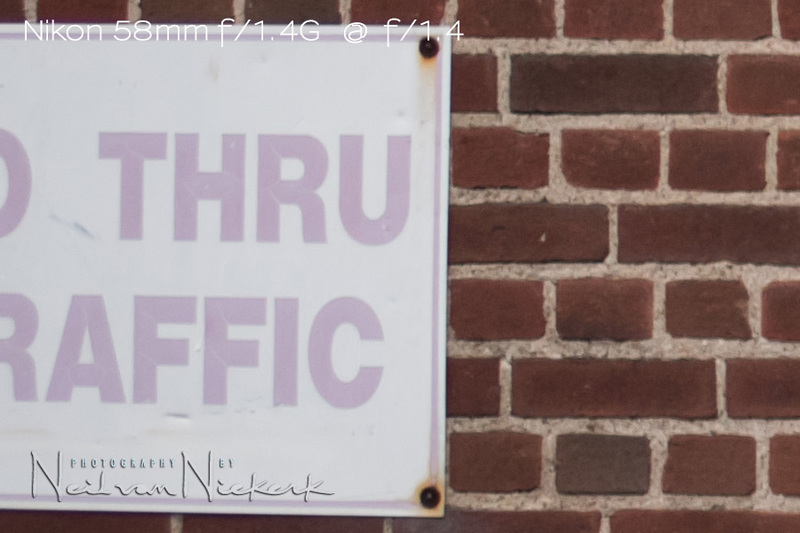 The 50mm f1.8 II is not a bad little lens…for around $100. Will be interesting to see if you have similar results. I’m definitely looking forward to your take on the canon lenses. I’m one of the weirdos who shoots weddings with the 50 1.8 only really because I don’t shoot wider than f/2 and I’m not convinced that the 1.4 version is actually any better in terms of speed / longevity of the lens. If only there was a lens between the 1.4 and 1.2. 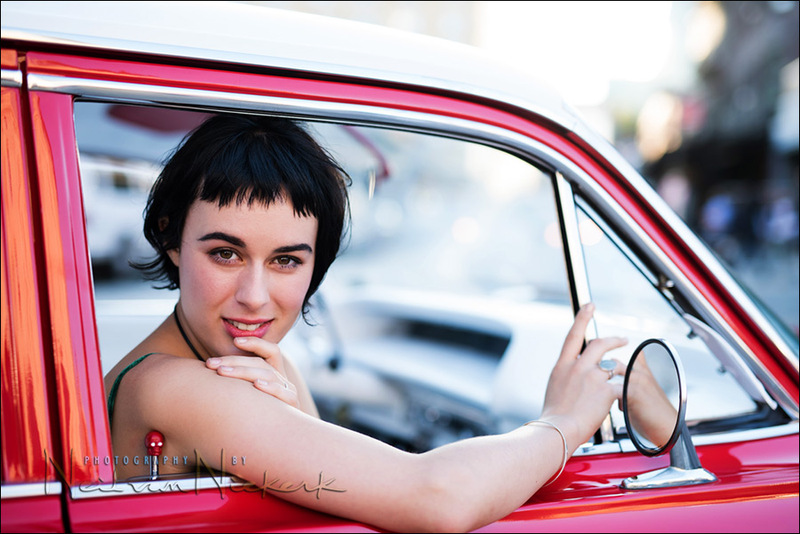 Wonderful review on the Sigma 50mm 1.4 lens; very impressive – thanks. I’ve been wondering, do you ever use back-button focussing and what are your thoughts on this process as opposed to normal focussing through the shutter release button? I continue to follow your blogs religiously and love them. Thanks so much for this response Neil and the very interesting links. The above articles have been a most interesting read, very grateful. I hope you don’t mind my posting a link to them on the Nikon D750 user group on Facebook, as there’s been a great deal of discussion about BBF recently and the problems with VR lenses hasn’t been mentioned. It’s great to see another superb lens come out. Given the price point and quality of this lens, I wonder why Sigma still doesn’t add a little rubber seal around the mount and some weather sealing inside their lenses? How did you find the speed of focusing? I HATE every 50mm Nikon has as I find them way to slow on focusing. I felt the Sigma focused faster than the other two Nikon lenses. The G lens has never really impressed me for AF speed. 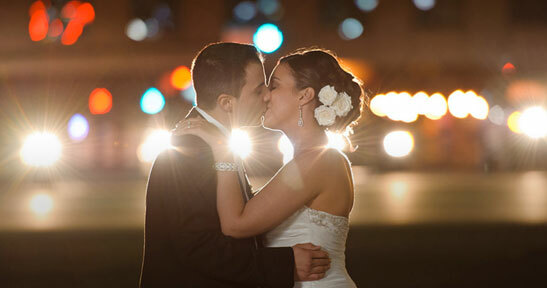 When using a 50mm lens, do you stick to half-body shots or do you sometimes shoot closer? 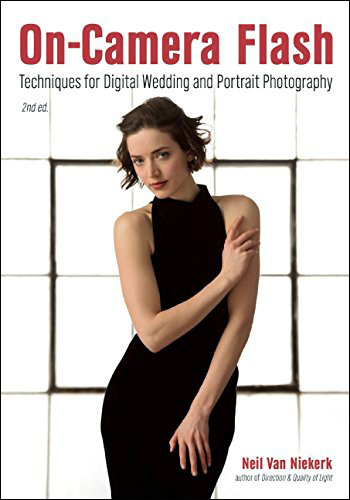 Even though this article was written with boudoir photography in mind, it is applies to general portrait photography as well: boudoir photography and the 50mm lens. Too bad the Nikon 50mm 1.8G wasn’t in there since it supposed to be optically better then either of those Nikons. I like the 58mm not for sharpness but for its own unique character. Love the reviews! 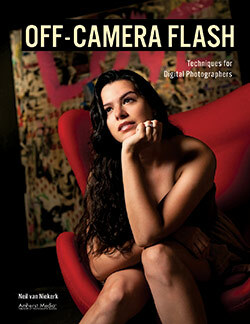 Any comments on the lens’s vignetting on a FX body compared to a DX body? Mike … the lens does vignette when used wide open on a full-frame body. Prime lenses tend to do that. On a crop sensor, the vignette is eliminated. That’s what happens when you cut a large part of the frame away. The vignetting doesn’t bother me. When you use a lens wide open, the vignetting helps focus attention to the center … and I add a mild vignette to the images anyway as part of my default RAW workflow. So whatever vignetting there is, doesn’t bother me in the least. Thanks for the article. 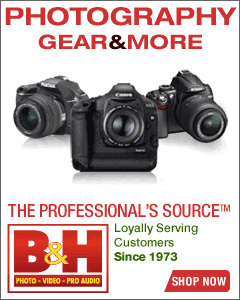 Any chance of comparing the Canon 50L with the new Sigma?